I am the proud pet parent of Axle, an American Pit Bull Terrier. He’s blessed our home and driven us mildly crazy for the past six years. He’s great with our cats and our daughter, he will only eat his eggs cooked, and his farts can wake us from the even the deepest sleep. In other words, he’s much like any other dog — except for his breed. 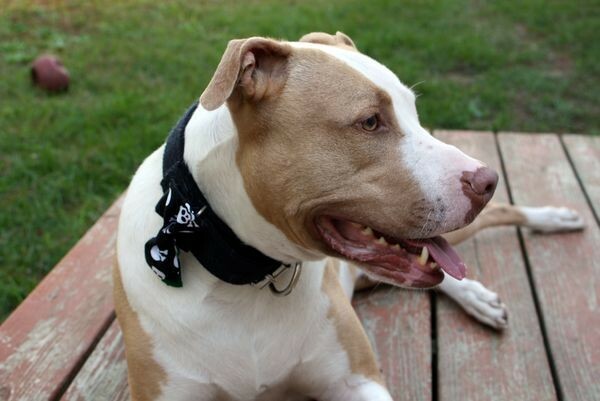 Being an American Pit Bull Terrier, Axle is lumped in with many other breeds and breed mixes under the generic label of Pit Bull. Although we are fortunate to live in a community that has successfully avoided breed-specific legislation, we face continued discrimination due to our dog’s appearance. Even as a floppy-eared puppy, Axle was judged based on his breed. Hands would recoil when they heard he was a Pit Bull. Concerned citizens would approach us with anecdotes about how Pit Bulls turn on their humans, how their jaws lock, and how the dogs stalk babies like prey. While such ignorance from a general public drenched in sensationalized headlines was no surprise, I expected better from professionals like my veterinarian. However, when we took Axle to the vet for his routine puppy vaccinations, we had to wait for hours past our scheduled appointment time due to the vet wanting enough staff on hand to restrain the “vicious Pit Bull.” He was less than 4 months old, and no more rambunctious than any other puppy, and I had clearly been able to keep him under control during the excessive wait. Needless to say, I switched vets. A year later, when my husband and I bought our first home, we shopped for homeowner’s insurance. We were turned down by several companies due to Axle’s breed. One would have approved us, but only with some rather extreme coverage. We found our refuge in State Farm Insurance, who did not mind one bit what type of dog we had or how many. Due to past experiences, I no longer take Axle to pet events or dog-friendly stores in our town. He enjoyed checking out the treat aisle at our local Tractor Supply store, but I tired of watching people recoil once they learned his breed, or scooping up their children as though they were in more danger than my own daughter walking right beside him. He liked to explore Lowe’s, but we actually had workers scream and run when they saw him. I also have the fear that if something were to happen, even if it were entirely the other person or dog’s fault, that Axle would be the focus of the headlines. We had an incident years ago when our mixed-breed dog (English Bulldog, American Bulldog, Boxer, etc., per a MARS Veterinary DNA test) nearly killed Axle in our home. He was covered in blood from head to toe, with ripped ears, gashes across his neck and legs, and one severely bitten foot. I was home alone and had thrown a thick blanket over the attacking dog and had managed to carry her outside without getting more than a few superficial bites and scratches. When officials arrived, they immediately identified her as a Pit Bull. I was quick to correct them that she was not a Pit Bull, and that my actual American Pit Bull Terrier was the victim and lying wounded in my bathtub at the moment. The officers’ bias made me feel uneasy for other dogs like my Axle. A dog’s behavior is a complicated mixture of genetics and environment, and we can’t judge how one dog may or may not behave based on what another one who looks similar has done. In human terms, we call that racism. For dogs, we could call it “breedism,” but the ideals are one and the same. The harshest type of discrimination against dogs is breed-specific legislation, or BSL, which attempts to greatly restrict or ban specific dog breeds or, as is the case for Pit Bulls, a subjective stereotype. As public safety seems to be the main factor for proposers of BSL, it seems appropriate that we look at some statistics from the National Safety Council, specifically, the odds of dying. The odds of dying in a motor vehicle crash are 1 in 113. The odds of dying by drowning are 1 in 1,183. The odds of dying in contact with sharp objects are 1 in 30,860. The odds of dying in contact with hornets, wasps, and bees are 1 in 64,706. The odds of dying by being bitten or struck by a dog, and that’s ANY dog, are 1 in 114,622, just slightly greater odds than dying by lightning strike, which is 1 in 174,426. We help prevent car accidents with better driver education, traffic signals, clearer road signs, and improvements of safety features on the cars themselves, like back-up cameras and air bags. We help prevent drowning by posting signs at beaches, fencing public and private pools, and supervising access to water. We don’t ban automobiles or bodies of water, so why would it make sense to ban a dog breed stereotype? Instead, we can help prevent dog bites by increasing owner education, increasing incentives for spay/neuter surgeries, and continuing to end dog fighting, tethering, and other inhumane behavior toward dogs. We can also push for state and national rulings to outlaw breed-specific legislation. 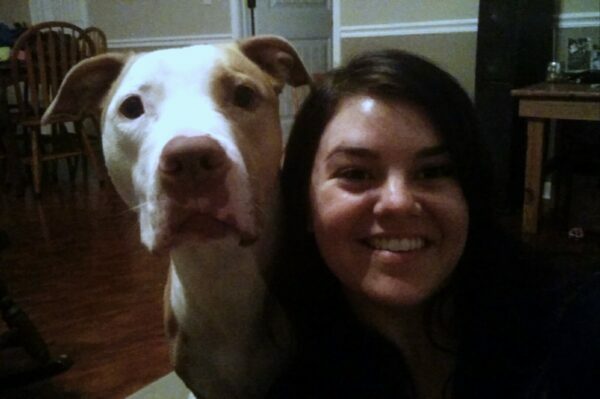 In the meantime, those of us who own Pit Bulls have a responsibility to ensure they are loved, safe, and healthy. Do you live in an area affected by breed-specific legislation? Do you think Pit Bulls are being unfairly targeted? Or is the caution warranted? Let us know your thoughts in the comments below! 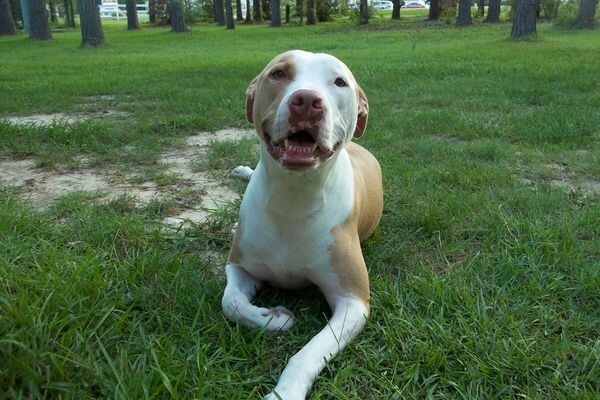 The post How I Deal With the Ignorance, Intolerance, and Fear I Face as the Pet Parent of Pit Bull appeared first on Dogster.